Get paid if you pee (at the right place, of course)! The Ahmedabad Municipal Corporation (AMC) has come up with a rewarding idea to prevent people from peeing in public. In the city’s 67 most vulnerable spots with a public toilet nearby, the AMC will implement its pee-and-get-paid scheme. In a bid to make people relieve themselves in public toilets— which few do—the AMC standing committee has undertaken the novel project where they will reward the person with a rupee for having used the public toilet for urination. Though Indians have earned a worldwide name for their audacity of peeing wherever they want—to top it all, we have peeing Javeds who can even go to the extent of killing anyone who shames them while taking a leak in public– the world doesn’t have a dearth of such offenders. India has even roped in its gods and goddesses and allotted them the nooks and crannies that are prone to public pee-ers. Before Ahmedabad, Darechowk (near Kurintar in Kathmandu, Nepal) came up with this innovative weapon of preventing the public urinators. 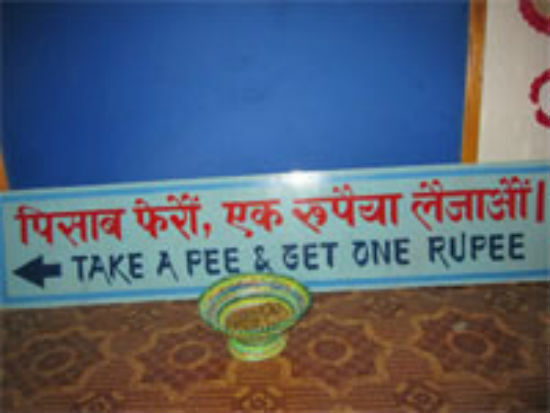 Members of Sewa Nepal, a local NGO, initiated the scheme of giving a rupee to each person who took a leak at the public toilet. 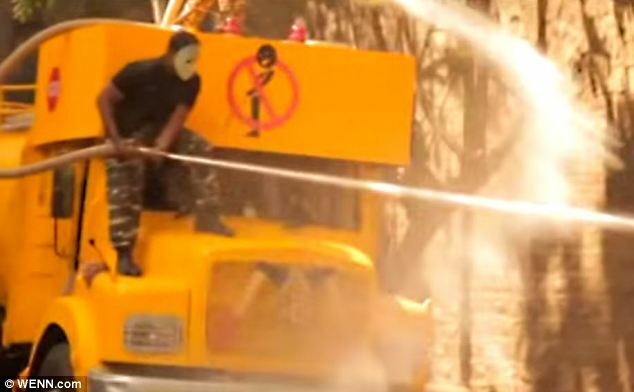 Anti-public urination activist group Clean Indian launched a campaign in Mumbai last year where the activists were seen patrolling the streets of Mumbai on a vehicle called Peeing Tanker. It had a huge water canon that flashed the sign “You Stop, We Stop”. 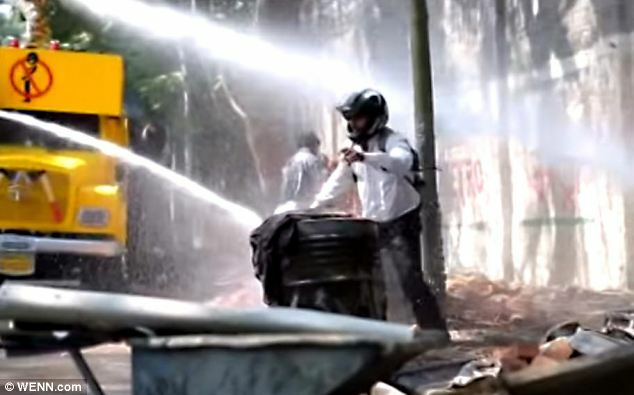 The masked vigilantes shot water at anyone who was caught using the outdoors as a toilet. All we can say is “pani ka jawab pani se”! When public urination became a menace at Carnival in Rio de Janeiro, AfroReggae, one of the Carnival’s organsiers broached the topic of generating electricity from urine. 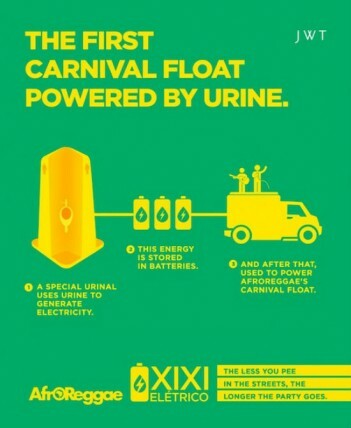 Their floats at the 2013 event introduced the first carnival music truck powered by urine. It had turbo-charging urinals that converted pee into electricity which ultimately powered the float’s sound system throughout the festival. The revelers then flock to the specially designed urinals instead of peeing on the streets to keep the party and music going. Last month the religious affairs ministry in Muslim-majority Bangladesh ordered to replace signs in Bengali language with identical messages in Arabic in a hope that it will have a visible effect on stopping people relieving themselves on the roadsides and walls. Arabic as the language of the Holy Quran is sacred and thus people have high regards for it, what if most of them are not able to read the language. So, zip it up guys before you find the right place to relieve yourself.